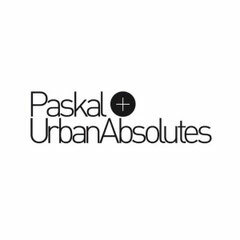 Pragueʼs Visky Recordings kicked off late last year with a release from French deep houser Boris Hotton and the label now furthers its forays into the deep with the glorious slo-mo house of Paskal & Urban Absolutes. 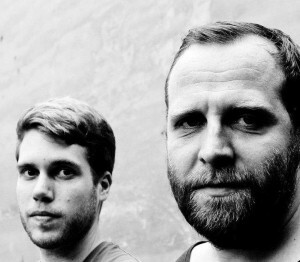 German duo Paskal & Urban Absolutes (Alexander Kastner & Adrian Hoffmann) have racked up releases and remixes for Peppermint Jam, Farside, Foul & Sunk and Room With a View since kicking off their production careers in 2009. Here, they employ soft, creeping melodies drenched in warm delays and reverbs to deliver the mid- tempo beauty that is the lead cut ʻOur Smile In Your Faceʼ. While steadily building in intensity the track never loses its lazy, heady vibe and is an example of synth heavy deep house. ʼ31 Degreesʼ nudges the tempo a tad but retains the slow building nature of its A-side counterpart. Filtered chords and rounded kicks give way to undulating bass and vocal adlibs that roll along a burbling percussive path that is clipped, chopped and edited subtly throughout. Farside producer Henry L takes on ʻOur Smile in Your Faceʼ to close the EP and employs a range of staccato, punchy sounds to add an urgency to the laidback vibe of the original, Pulsing bass and gentle progressions do all the work needed to make the track roll and the restraint is endearing and effective. Out now, you can check it below. obviously like your website but you need to check the spelling on several of your posts. A number of them are rife with spelling issues and I in finding it very bothersome to inform the reality on the other hand I will definitely come again again.